Come to BSA Mansion Hotel and be where the action is. 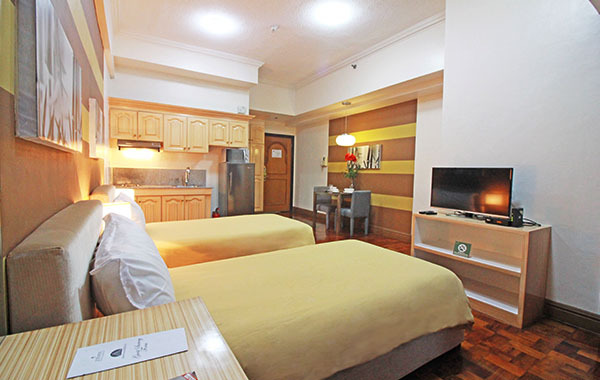 Right in the very heart of Makati’s urban jungle, this 3-star city hotel caters to business and leisure travelers. Other than its beneficial location, the hotel has fully equipped rooms with living and dining areas, as well as a kitchenette for an ultimate relaxing stay. Homey and functional, it is the best retreat after a day of exploring the city. At BSA Mansion Hotel, we understand the need for a peaceful retreat in a bustling and vibrant environment. Here, the rooms are designed exactly to deliver the comforts much like your own home with careful consideration. All rooms are equipped with plush beds, functioning kitchens, private bathrooms, and cable TV. You may choose among five room types that can best suit your necessities. Busy and on-the-go individuals as well as those who simply want a quick break will find this hotel highly suitable for rest and relaxation. Whether you are in Makati City for a great shopping spree or a corporate agenda, you will look forward to coming home to BSA Mansion Hotel. Here, we are all about convenience. 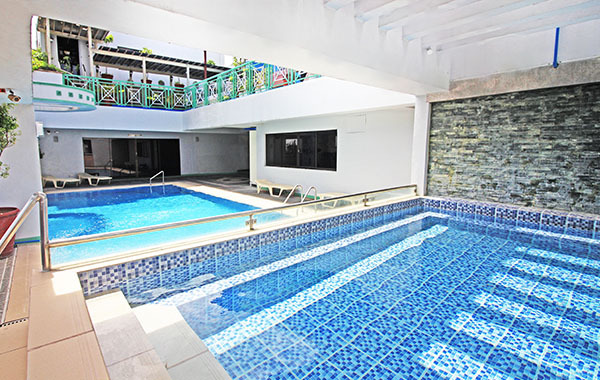 Formerly a condotel in Makati, the hotel has the necessary facilities for a comfortable stay including an outdoor pool, a fitness center, a roof deck and a function room. It also offers services such as airport transfers, room service, housekeeping, a 24-hour front desk and a 24-hour security system. 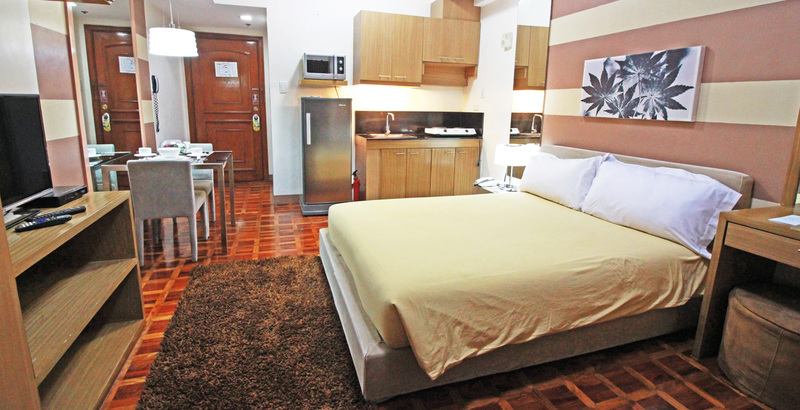 Outside, Makati’s key significant places are also just a short distance away.